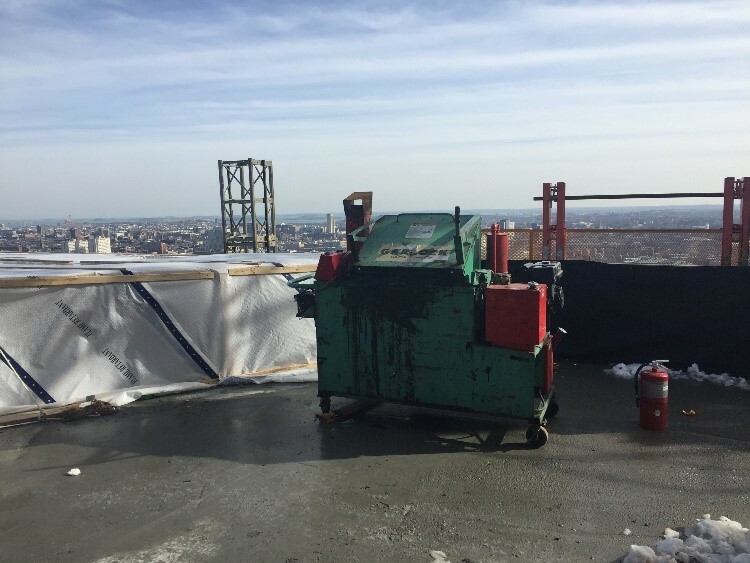 Rubberized asphalt melters are useful for roofing material application during construction, however open flame associated with such operations on roofs are specifically prohibited by 527 CMR in high rise buildings. Rubberized asphalt melters have an exposed burner flame and operate at temperatures up to 500 degrees Fahrenheit. These burners are fired by flammable gas/liquids, which further complicate the process as the storage of said materials inside a building is generally prohibited. As a result, one must consider seeking permission from the authorities having jurisdiction. We suggest applying 527 CMR Section 1.4, which permits the use of equivalencies, alternatives, or modifications. Self-contained rubberized asphalt melters are not currently included in NFPA 1, however the practicality of this option has been recognized recently in several jurisdictions such as Florida. Rubberized asphalt melters have a fully enclosed burner flame and typically operate at temperatures between 350 degrees Fahrenheit to 380 degrees Fahrenheit. The melters typically range in size from 100 gallons to 230 gallons and only utilize either diesel or gasoline for fuel. These melters are equipped with temperature controls and only run on a properly operating control system. The membrane material used in these melters has a lower melting point than traditional asphalt based products and is less flammable and combustible. These rubberized melters have been approved within the City of Boston in the past with the appropriate required permits. 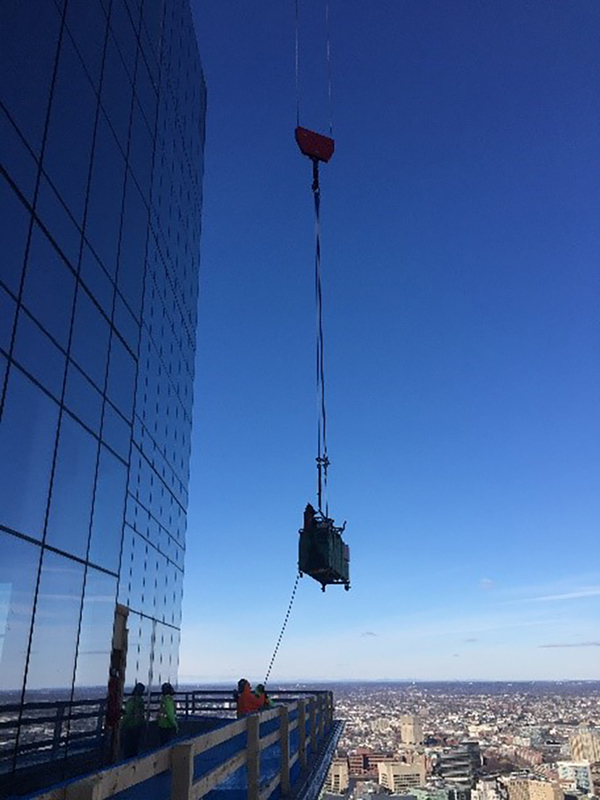 These permits include a General Permit to permit fuel storage on the roof, as well as a Hot Work Permit to provide an avenue to secure a uniformed fire watch. If you have any questions about how you can achieve alternative means of compliance for roof melters, please contact us!